Black zip closure platform rubber sole Sneeker 125 are made in mens sizes, but perfect for women too. 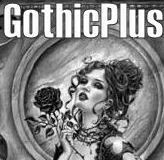 Black canvas and vegan leather low top Gothic sneaker for men or women has a zippered closure. 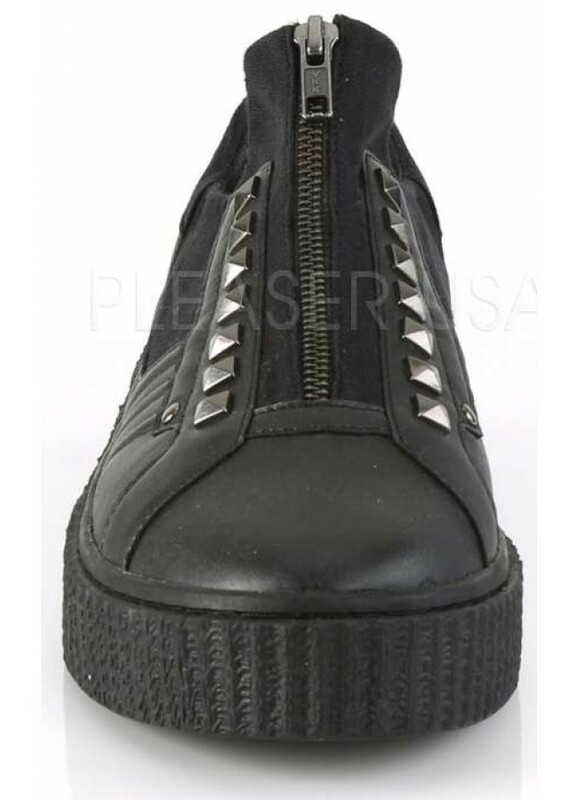 Round toe with a 1 1/2 inch rubber platform heel, this unisex sneaker has pyramid studs on the sides. 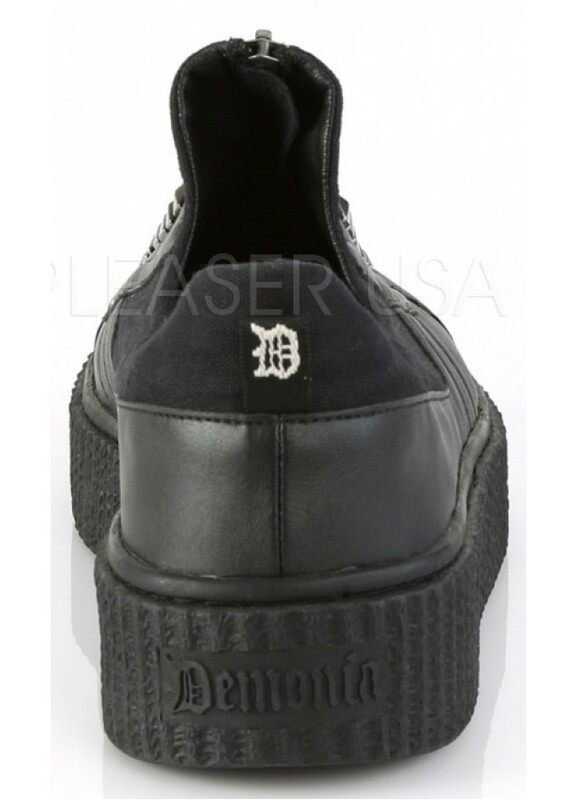 They have a Demonia logo and D on the back heel. All man-made materials with padded insole and non-skid sole. Made in men's sizes, see size chart to convert it to womens. Item Number: PL-SNEEKER-125 | Approximate Size (Inches): 12.00 wide x 14.00 deep x 6.00 high | Approximate Shipping Weight: 4.00 lbs.